Some people love numbers, some hate it. Whether we like it or not, numbers will always be an important aspect in our day-to-day lives. Whether we are counting our money after doing the groceries or measuring our height, numbers will always be involved in most tasks that we do every day. Personally, I love numbers, and math was one of my most favorite subjects back then. Some tasks may not be as complex in the real world as the mathematical computations that were taught to us in school, but it’s always useful to learn new things in preparation for unforeseen events. It’s always better to be prepared beforehand. 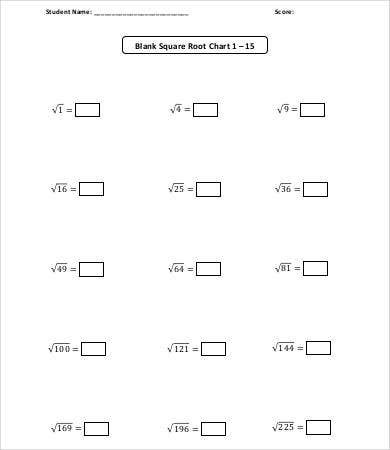 And that is the reason why we were exposed to various mathematical formulas and values during our time in school—to be familiar with all of them because we’ll never know when we will ever need to use them. 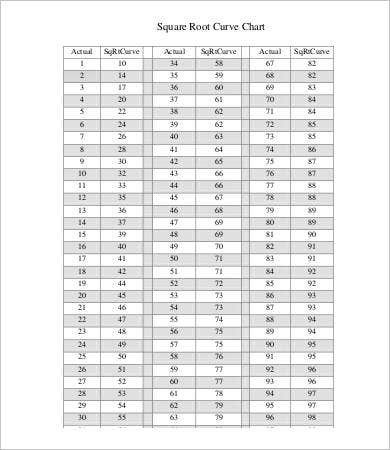 Feel free to look around our website for various numbers chart Templates that you can use for whatever purpose it may be. 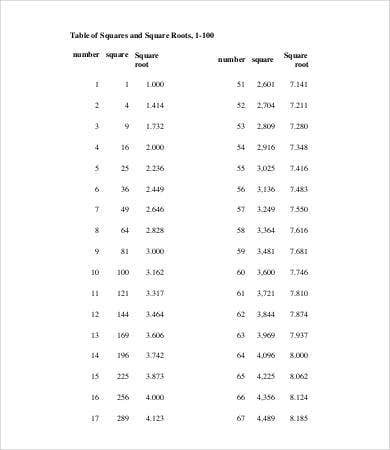 The square root in mathematics is a certain number with a value which when multiplied by itself gives you the original number. For example, 4 is the squared number, and the square root is 2 because 2 × 2 = 4. 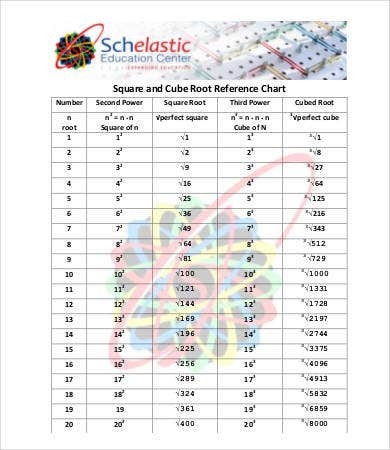 There are actually two sources suggesting the origins of the square root—the Moscow Mathematical Papyrus and the Rhind Mathematical Papyrus. The Moscow Papyrus dates back to 1800 BC and is also referred to as the Golenischev Mathematical Papyrus. The Rhind, or Ahmes Papyrus, dates back to 1900 BC. 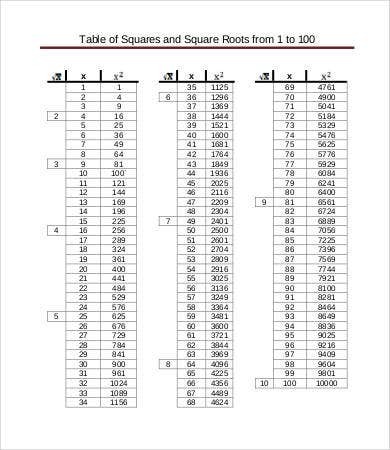 According to the ancient Greeks, square roots of positive whole numbers that are not perfect squares are irrational numbers. 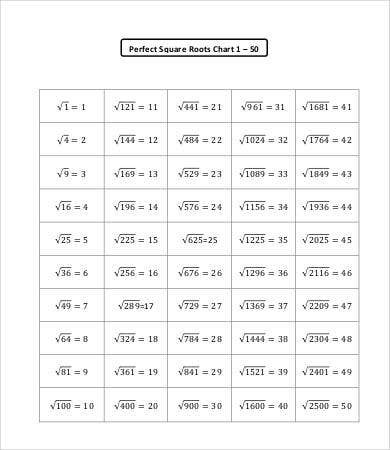 Egyptians referred to the square root as the kenbet. 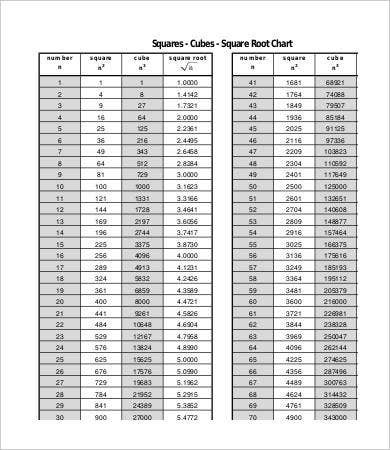 The symbol for the square root was first used in print in 1525. Guess the answer. Estimating the answer makes it quicker and practices our math skills to make future computations faster. 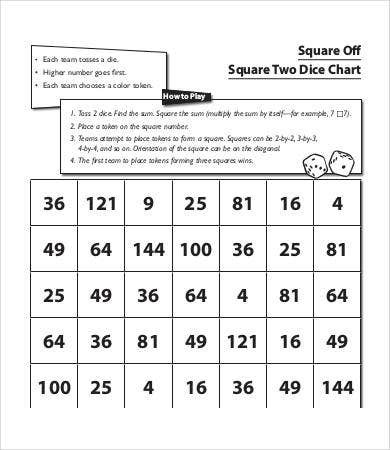 Divide the squared number with our guessed value. Add the guessed number with the quotient of step 2 and divide it by 2, and this is now the new guessed number. Check the accuracy by multiplying the new guessed number by itself and determine how close it is to the actual answer. Decide if your new guess is accurate enough. If not, then go back to the first step. If you are looking forward to monitoring your productivity in your task for a specific duration, then check out our collection of Gantt chart templates here on our website. You may be able to easily access and download these charts on to your own personal computer for free. Just click on the green download button and save it on to any folder on your computer, and then you’re good to go. 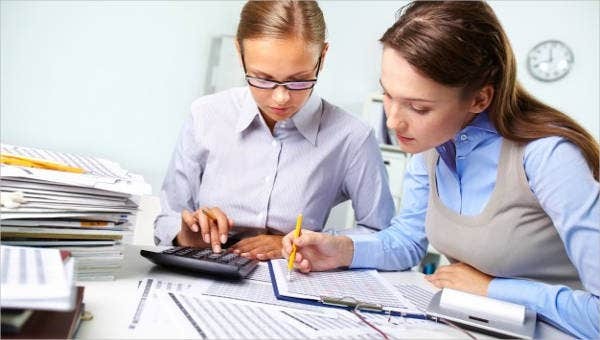 These charts can be downloaded in high-resolution PDF formats, which means you are guaranteed of having clear and legible numbers and texts even if you wish to have these printed on regular-sized bond paper or large poster paper. 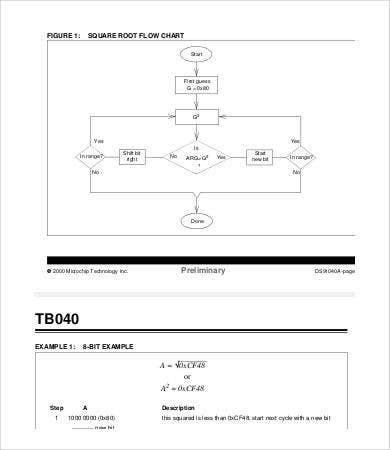 If you are planning on making a report which requires you to use a flow chart, then check out our collection of flow chart templates. You’ll never have to worry much about your report again. However, if you couldn’t find what you were looking for on this page, then scroll to the bottom and check out the links to other related content found on our website.